Get dressed & out the door in under 5 minutes. Life’s too short to waste time stressing about what to wear. 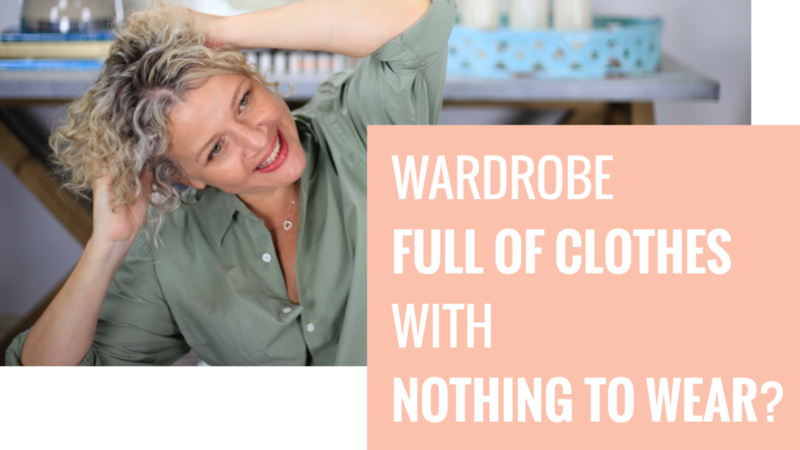 Trying to build the perfect wardrobe but still not nailing it? Not knowing for sure what colours or styles suit you? An expanding wardrobe (or two) with nothing to wear? Wasted time choosing an outfit for an interview or an important meeting? Wasting money on clothes you never wear? Feeling guilty of culling clothes, some of which still have tags on them? Style advice that’s generic or doesn’t make sense/work for you? Wanting to do right by the environment but finding it a challenge? Managing separate work and casual clothes? Lack of support for trusted style advice? Wearing too much black or monochrome? GET A CUSTOMISED CAPSULE WARDROBE WITH COLOUR. 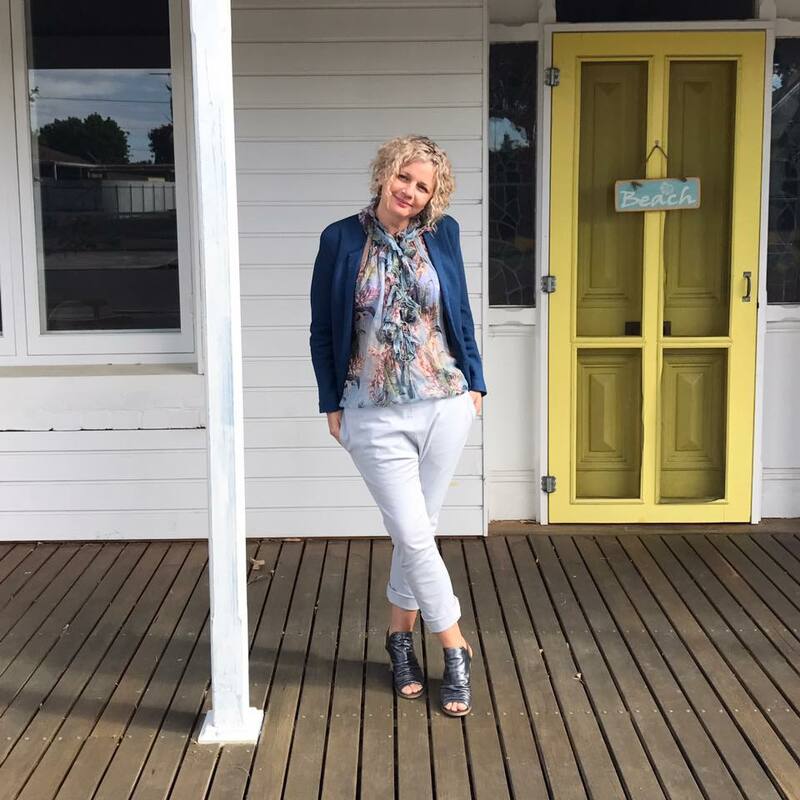 Get confirmation from me on your colour type under my proprietary Boss System, so you can start building your Boss Staple Wardrobe. You'll gain life-changing knowledge on the colours and styles that will help you embrace your genetic features. Learn what hairstyles, sunglasses, reading glasses, accessories suit your facial lines and more. Create a timeless, classic style that allows you to venture into trends. Tweak it to fit your lifestyle, budget and personality so you can make your style your very own. Ever found yourself in tears next to a mountain of clothes that make you feel old & frumpy? That’s why I’ve spent almost 10 years on creating and perfecting my Boss system that’s now helping thousands of women who were just like you. Get the complete Style Science System that gets 1000+ women dressed & out the door in under 5 minutes. THE BOSS COURSE IS AN ONLINE COURSE THAT BUILDS THE MOST COMPLETE PERSONALISED WARDROBE TO SUIT YOUR SIZE, AGE, BUDGET, PERSONALITY OR LIFESTYLE. ALL BASED ON THE SCIENCE OF YOU. Discover the science behind the system and know that it all makes sense...just the way nature intended. Learn about your best colours & contrasts based on your skin undertones and dominant features, so you can infuse your wardrobe with personalised palette based on the science of you. Learn about shapes that enhance your features. Discover which silhouettes are timeless & transcend the trends. i.e., will last longer & will never go out of style. Discover your best styles to suit your personality and lifestyle. Get the complete blueprint so that you know what you need to build the wardrobe that's perfect for you. knowing you look & feel amazing. Find out from me your exact skin colour type and contrasts under the Boss System (Eyes, Hair, or Smile). Find out once and for all if you suit warm or cool colours so there's no more guesswork, wasted time and energy figuring out what your best colours and styles. Once you complete the first module, you will get your "diagnosis" and understand how colour types work and the science behind it. You'll get a your focal colours list - a palette of over 10 colours that make you look and feel your best. Experience lightbulb moments and look back at the times you received compliments wearing some colours, and discover new colours you would never have considered, with a palette that's not available anywhere else. Short video lessons that teach you step-by-step how the Boss Of Your Wardrobe System works. The modules are delivered straight to your email inbox over a period of two weeks. Because I know how busy you are, I've kept the videos short and sweet (3-15 minutes) so you can learn faster and in your own time. They're self-paced so you can start whenever you like. From the moment you watch the first module, you'll start to understand why certain colours and styles suit you, and why some don't! As you work through the modules and homework, you'll have help from Nat and the Boss Babes so you won't end up feeling stuck! You'll learn so much that the next time you walk into a shop, you'll know whether the colour or style is even worth trying, and you'll know exactly which ones will work earn their keep from your hard-earned money. You'll feel empowered even when visiting sales and outlets, and you'll feel this sense of accomplishment as things start to fall in place, and your wardrobe starts working for you and not the other way around! PDF workbooks you can save in your phone (or print!) that serve as your reference and guidelines throughout the completion of the course that enforce your learnings from the videos. It also helps if you prefer reading over watching videos! With the workbooks, you can review and refresh your knowledge without having to watch the videos again. Would an A-line dress flatter your shape? Check out your workbooks and you'll find out if it's a yes! Feel relieved knowing that you have them handy as you slowly apply your BOSS learnings. Guidance, confirmation and support from me and the Boss Babes as you go through your modules so you get the certainty that you're doing it right. Join a close-knit, private community (or tribe) where you can interact with me and the beautiful and generous Boss Babes anytime you need advice. We help you along on your journey, your homework, and add even more fun to the experience! Know that you're not alone in this, or at all. It's like gaining hundreds of new best friends. Never feel alone, wondering if you're getting it right. The Boss Team, the Boss Babes and I are here to help you work things out. Worried about an outfit for your special event? Or an online purchase you're not too sure about? Ask the group and get honest opinion and advice. Your Personal Map includes your best 6 Boss Staple Colour Palette (4 personal neutrals + 2 best colours) that forms a complete minimalist Boss wardrobe. You'll learn whether you suit bright white or warm white, whether black or navy is your best dark neutral, and what colours to wear to a presentation so that the attention is on you — not your clothes. Feel good that you now have a plan and never have to buy anything at random that never gets worn, as every piece is a part of a puzzle that will complete your perfect wardrobe. Your shopping list contains a comprehensive list of items that's recommended you have in your wardrobe to give you even more options and control, if you want to extend your wardrobe options. With this shopping list, you will see what gaps you have in your wardrobe, and what colours/styles to get. It's like having a stylist in your pocket! Imagine walking into a shop and zoning in on the perfect print jacket to fill your wardrobe gap, so you spend minutes instead of hours trying things on. Say goodbye to impulse-buy mistakes and feel confident about your shopping choices, knowing that you're making the right investment in the right pieces. A book that contains all the learnings from Boss. You'll receive it after you've completed all your modules and become a True Boss! Woohoo! Save it on your phone or print it like other Boss Babes have, within easy reach of your wardrobe. Want to know how to mix prints and what colour handbag to get for a ""Hair"" colour type? The Big Book of Boss knows! Feel secure knowing that you can't go wrong and you won't forget all those Boss learnings once you've finished! We're just getting started, and you'll be a Boss for Life! #BOSSlive appearances where you get to ask Nat all your questions! Fashion trends come and go, and we like to get the official dish from the Boss herself. Learn whether a trend is worth investing in, and how to best wear them. Eyeing a coat with a waterfall style? Not cheap, so should you invest? Time to ask Da Boss! Feel reassured that you're not wasting money on trend items that won't last more than one season. Smart Boss Babes are savvy spenders and we make sure our investments go a long way! Weekly challenges that's both fun and educational to help us cement our Boss learnings and experiment with our wardrobes! When we're starting out it can sometimes be scary to post our photos especially with heaps of gaps, and the challenges help us practice! Get clarity on so many aspects of the Boss system. When you think you already grasped a lesson, practicing helps you cement this knowledge! Every week you'll get a chance to relearn the guidelines, and watch as Boss Babes put their personalised stamp on each one. Feel braver after each challenge as you try things you've never tried before, and learn new things each time. The learning never stops in the Boss course, and neither does the fun! sneak previews of upcoming releases and specials from my label: Science of Style. You'll know what's coming up weeks before the public does. this is completely optional, but if you'd like a day with me and the girls while we shop for your gaps, then you have the option to book a group shop with me right here in Adelaide! I don't take VIP clients anymore so this is pretty much the only chance to go shopping with me. I know that you'll be thrilled with all your Boss learnings and being part of the most supportive tribe of women out there. Once you've completed all the homework, you're either thrilled to see or feel a difference — or email me for a full refund. There really is nothing to lose except the stress of getting dressed. Choose your preferred enrolment option. Simply choose your preferred investment plan that suits your budget and follow the prompts to complete your enrolment. In just a few minutes, you'll receive a welcome email. Simply click Confirm and the first course module and video link will arrive shortly. After watching the first module video, simply submit your homework and your journey begins! Join nearly 1,000 Boss Babes and get the most complete, personalised, science-based framework that gets your wardrobe working hard for you. It's like setting aside $35/week or $5/day in a year…and you get access for life. IS $5/day worth saving you time, energy, and sanity? * How is the course delivered? Straight to your inbox for your convenience. Every week you'll receive one module in your inbox each week, which should give you heaps of time to go through the very short videos and homework. * How can Nat know my colour type without seeing me in person? Hunky Hubby calls it "mutant eyes", but really it's from over 8 years of training with thousands of women. I can tell what your colour type is from a single photo. * What happens if I fall behind all the other Boss Babes in this round? The BOSS Course is self-paced, you can take it anytime you like. We do love it when Boss Babes complete the course so myself and one of the lovely Boss Admins will give you gentle nudges and check in with you to see if you need any help or if there's anything you're stuck with. * Should I first lose weight for me to benefit from the course? Not at all, gorgeous! You are beautiful the way you are, any shape and any size. You will learn to dress in ways that will benefit your shape. Regardless if it's your ideal shape or not. * How much time do I need to go through each module? The first module is a 3 min video and a work book. It take 10 mins tops to work through both. You then post your homework into the group or email me if you like a little more privacy. * Can I join on the next round? Of coures! Just be sure to pop your name on the waitlist so you get to be the first to know when it opens again! * Eek! It's a lot of money! How can I explain this to my partner? * I'm tech-challenged! Will I have trouble with the course? I'm not that great with technology either but my team is. I stick to what I am good at and leave the rest up to the experts. I have a small tech team that will jump in and help you whenever you need. All you have to do is ask in the Boss group or email me and I will get one of them right onto it if I can't answer myself.